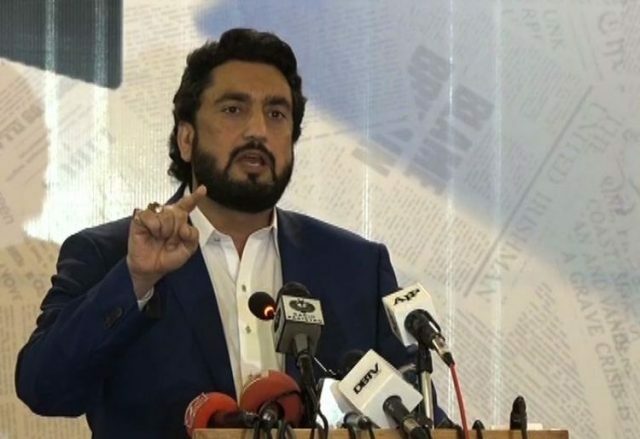 ISLAMABAD – March 26,2019-Minister of State for Interior Shehryar Khan Afridi Tuesday said that women’s role in character building was pivotal and daughters of Balochistan would play a lead role in defeating anti-state narrative launched by our enemy. The Minister expressed these views while talking to a women delegation from Sardar Babadur Khan University Balochistan here at the Ministry of Interior. “Women empowerment and development of Balochistan Province tops the priority list of the Pakistan Tehreek e Insaf (PTI) government and women from far flung and remote area like Balochistan would be ensured delivery of right. “It is heartening to see our daughters from Balochistan come forward and play their role in nation building. We would empower and encourage them to compete on global level,” Shehryar Khan Afridi said. The Minister said that women’s role can make or break a nation as women play linchpin role in character building of any nation. “Our women are role models for the world. The way Pakistani women are keeping the family unit intact is a model for the western world. The world needs to learn from our daughters,” the Minister said. He added that Balochistan is not only mineral rich but it has also produced draughters who have made Pakistan proud. “Recently, a daughter from Balochistan won laurels in judo at international competition. We need to support our daughters and equip them with more support and confidence so as they can compete at any level,” the Minister said. The Minister welcomed the fact that the Women Cricket Team from Sardar Bahadur Khan Women University, Quetta had been chosen among top five teams of the Higher Education Commission. The Minister said that Cricket is a game of civilized people, it teaches us team work, how to survive and how to compete”. The team members shared their problems and Minister assured them full cooperation. “This is the first time that any Minister has welcomed us, we could not imagine reaching to this level otherwise” said Ms Sadaf Khan, Director sports SBK, Quetta. She thanked the Minister for his warm welcome and support. Minister emphasized on mutual cooperation and collective effort for betterment of People of Balochistan and the country. “PTI is working to restore human dignity and state will ensure well being of all Pakistanis” he added. The meeting ended with a message that “Our women need to become role models. We will support our talented daughters and we hope to see them succeed and make Pakistan and its people”.